We are so proud of Nate this week, as he received his results from the PPA (Professional Photographers of America) International Photographic Competition. Nate received a bronze medal after all four of his competition images were awarded merits! Go Nate! Read on for the press release and more info about the results, the competition, and the images! 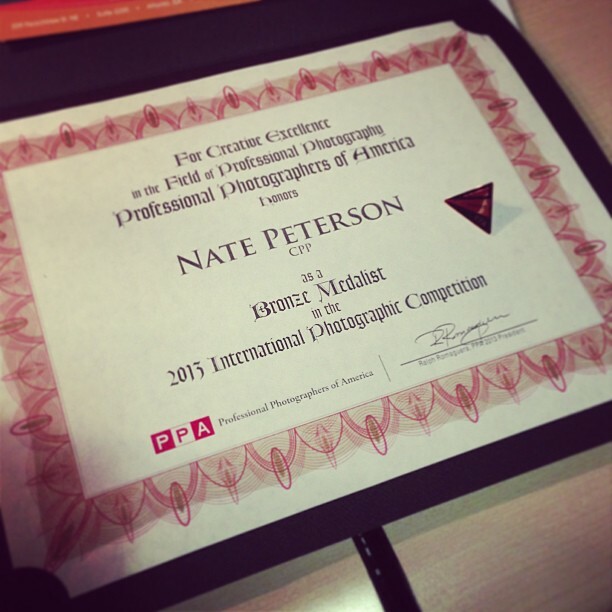 New Richmond Photographer Nate Peterson, owner of NP Design & Photography Studio, was named a Bronze Medalist during Professional Photographers of America’s 2013 International Photographic Competition. He will be honored at PPA’s annual convention, Imaging USA, this coming January in Phoenix, AZ. Peterson was named a Bronze Medalist by earning a merit – a mark of quality and honor – for each of the four images included in his entry case to the International Photographic Competition. This is the most prestigious competition of its kind, where images are judged based on standard of artistic excellence, not against each other. In 2013, he was one of only 55 Bronze Medalist from across the nation. The merit images include three local high school seniors (now graduated) and one local aspiring model.&nbsp;&nbsp;“An Accomplished Reader” depicts a 2013 New Richmond graduate in a library representing her core interest in reading and academic despite her athletic reputation. “The Puck Stops Here” is an intense vision into the eyes of a Somerset hockey goalie. This image scored a 95 – Exceptional, which is the top category and received Judge’s Choice as well. 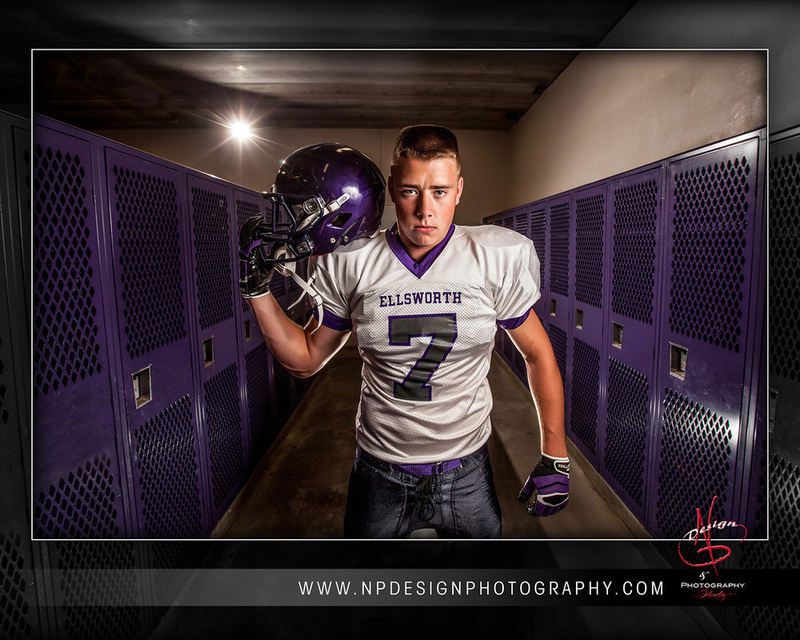 "Friday Night At Seven" captures an Ellsworth football player with a pre-game mentality. “Red Light District” is a glamour model image for her commercial portfolio. Professional Photographers of America (PPA) is the largest international non-profit association created by professional photographers, for professional photographers. PPA has roots back to 1869 and continues to look for new ways to assist is members through education and resources for their continued success in the industry.